Is 'Doom III' leak really a scandal? The big news in the computer gaming world these days is the apparently unauthorized release of a pre-beta demo version of the upcoming "Doom III." over the Internet. "Doom III" is the most anticipated game for home computers since, well, since id Software's last game, "Return to Castle Wolfenstein." The playable version of Doom III now floating around the 'Net is supposedly the one used to wow crowds at the E3 (Electronic Entertainment Expo) last May in Los Angeles. id has issued statements to the media characterizing the release as unauthorized. But given id's own phenomenonally successful use of the Internet to distribute playable demos of its earlier best-sellers, you have to wonder if this leak wasn't unofficially sanctioned by the company. id first came on the scene in 1991 when it released the "Commander Keen" series of arcade-style games for DOS machines. At that point, serious personal computer gamers were using Amigas, Ataris or even Macs  IBM clones running DOS or Windows 3 were relegated to spreadsheets and databases. But id saw that the future was with Microsoft, and its programmers were good enough to make up for the technical limitations of the Intel hardware. But not only did Commander Keen look and play better than just about anything else running on IBM clones, but id found a unique way of getting the game into the hands of potential customers: It gave away a playable demo to anyone who wanted it. 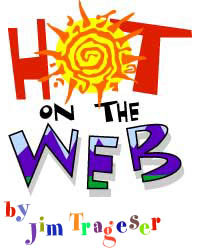 In 1991, the Internet was in its very earliest stages of being opened to the public and business worlds  but the dial-up computer Bulletin Board System, or BBS, was in full bloom. There were thousands of BBSs in San Diego County alone then, meaning that there were probably close to a 100,000 BBSs spread around the world then. Soon, nearly every BBS with a files area had a copy of the Commander Keen demo. The catch  and sign of id's marketing genius  was that the demo only had three levels. Once those were completed, you were prompted to purchase the full version so you could complete the game. To say id's shareware distribution plan worked is understatement. When id bought the rights to the 1983 World War II game, "Castle Wolfenstein," and morphed it into a "Battlezone"-type first-person shooter (where you look into the room through your character's eyes), it also distributed the resulting game, "Wolfenstein 3-D," via BBSs. Again, there were only a handful of levels to play before you were prompted to purchase the full game. But enough folks purchased those full games that id became one of the most successful startups in the gaming software industry. By the time "Doom" and "Quake" followed "Wolfenstein 3-D" in the mid-'90s, id's games had claimed prime real estate in the mall stores and computer shops. With "Quake II," id's emphasis on shareware distribution no longer had the prominent role it once did. But when "Quake III" came out a few years ago, demos again helped build a buzz. By then, id no longer owned the first-person shooter market the way it once had. Sierra's "Half-Life" had proved a popular platform for online multiplayer games  and a limited QIII demo helped to create a sense of excitement. The same held true for "Return to Castle Wolfenstein"  let players see the gorgeous graphics and get a taste of the gameplay, and they'll be willing to lay out $50 or so for the full version. So while "Doom III" may or may not live up to the hype, one can fairly wonder if id's executives are really upset about the demo spreading all over the 'Net. It's already got the media talking about a game that isn't even out yet  and that's publicity you just can't buy.